Listen to Conservation partners preserve the Flathead River one property at a time, by Montana Fish, Wildlife and Parks. Over time we have seen a growing ripple effect of neighbor talking to neighbor, building interest in the River to Lake conservation vision and investing conservation and restoration resources in the places they care about. The results are not only good for conservation but also good for maintaining a sense of community and the quality of life that comes from safeguarding a special place. These lands not only are special to the landowners, who often can claim three or four generations of stewardship, but they are also critical for clean water, fish and wildlife habitat, scenery and soil productivity. Do you want to conserve special places on your property? As a landowner or resident, you’re not on your own in protecting the river. Technical and financial assistance is available from a number of agencies and organizations to help you navigate your options, select appropriate programs, and, when needed, leverage multiple funding sources to maximize the benefits for landowners and conservation results. Read more about conservation easement here or Contact a Partner land trust or government agency for information on the right option and program for you. Farming is not a living, it’s a way of life, by Montana Land Reliance. These conservation accomplishments have only been possible due to the commitment of landowners and the willingness of partners to work together to plan and implement projects – a complex undertaking. Like a puzzle, individual projects are now coming together to form a network of conservation that benefits people, wildlife and clean water now and for the future. 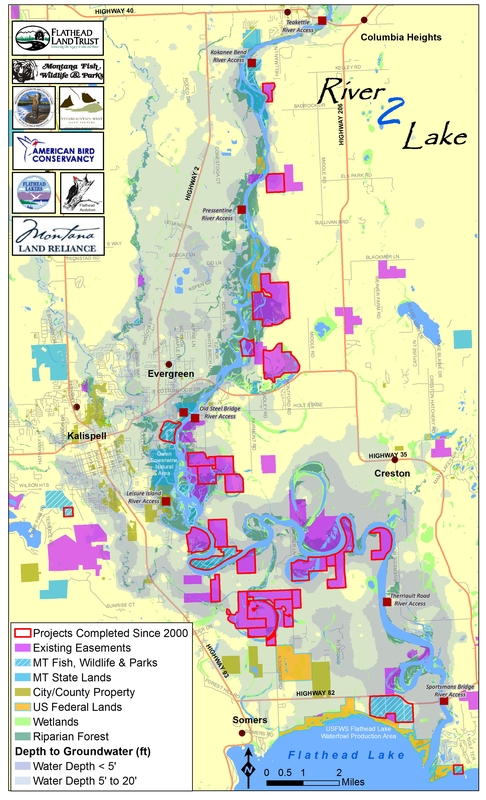 Since 2000, landowners have partnered with the River to Lake Initiative to conserve 5,700 acres of critical lands along the Flathead River and the north shore of Flathead Lake (see Map), adding to a conservation network of over 11,000 acres of protected private and public lands. Check our 2012 Flathead River to Lake Initiative: Analysis of Conservation Success report. 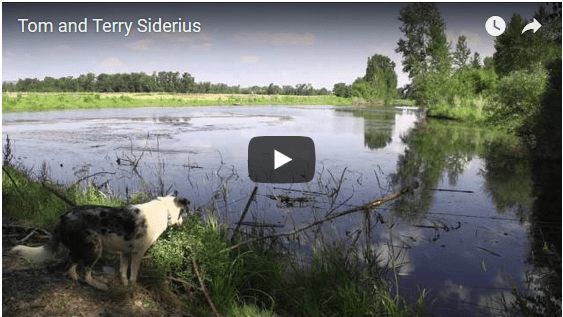 In 2009 and 2010, the extended Louden family placed conservation easements on a 1,088 acres of farmland, wetlands, riparian habitat and floodplain. The properties stretch along the Flathead River to the east and west of Church Slough (3.9 miles along the river, and 1.6 miles within the slough), connecting critical habitat for fish and wildlife along the river, as well as protecting 855 acres of rich agricultural soils (prime farmland and farmland of statewide importance) which will stay in agricultural production. The Flathead Land Trust secured a Natural Resource Conservation Service Farm and Ranch Protection Program grant for the project, and holds the conservation easement. This grant funds conservation of prime agricultural soils to help maintain these special areas in farming. Partners are also working with landowners to plant native trees and shrubs along the river banks. River to Lake partners thank the extended Louden family for a legacy gift to the Flathead – a beautiful river, productive farmland, open vistas, and wildlife habitat.